Of the three most affected countries of West Africa, only Sierra Leone has failed in meeting the World Health Organisation's deadline of "70% of all those infected by the disease must be under treatment and 70% of the victims safely buried if the outbreak is to be successfully arrested" by today December 1, 2014. What we are noticing is that more people are dying every day as well as more people getting infected. And what do we get from the clueless rat at State House? He goes on a tour of the regions where people are forced to come and listen to his rant quite oblivious of the dangers of getting crowds together in an Ebola-infested country that is still grappling to get it right. While Guinea and Liberia appear to be getting their acts together figures released by Sierra Leone's Health and Sanitation ministry show that more people are dying and getting infected in the North as well as the Western area where the capital Freetown is located. When the mayor of Freetown, a member of the ruling party tried to put in place a policy that would reduce overcrowding in market places, the rat is reported to have ruled against this for fear of getting unpopular with the traders who make up a large percentage of votes for his party. The rat believes that those who survive the Ebola Virus Disease would shake off the dust of death from themselves, would stand up in queues to vote him into power again - never mind the illegality of trying to extend his stay in office. "On Wednesday 26 November, a family of eight living in one house was wiped out by the Ebola virus in Tengbeh Town – one of the most densely populated western districts of the capital Freetown, amid calls for a tougher approach to curb the transmission of the virus in the capital Freetown. But a senior government official told the Sierra Leone Telegraph this week that, State House is using party political expediency to block measures that the Mayor of Freetown – Sam Franklyn Gibson is putting forward to help reduce the spread of the virus in the city. Early this year, Mayor Gibson threatened to close down all market stalls operating on the sidewalks of major streets in the capital. But after protests by street traders, senior ruling APC party grandees – including the president, refused to support the mayor’s decision. By undermining the mayor and usurping his authority, street traders were placated and so continued the cycle of lawlessness in the capital Freetown. But with the worsening Ebola crisis in the capital, few had expected political interference and gerrymandering to get in the way of common sense." As we had stated before, it is the refusal to report true infection figures as well as the real number of people that are dying of the Ebola Virus Disease in Freetown and key parts of the north that has exposed the antics of the rat. Again as we predicted when one of the cabal members, one Alpha Sahid Bubakar Kanu (read Information minister of the rat) boasted of the number of the people who had been engaged to carry out checks during the infamous 3-day lock down details are now emerging of so-called "ghost" names appearing on payment sheets with the latest figures of money diverted into the pockets of party operatives going up to the ten thousand mark. Most of the fake names could well have been supplied by ruling party MPs as well as their relations, friends and associates who see the woes of the people as an avenue for enriching themselves. When members of the high-risk burial teams in Kenema protested against the non-payment of their risk allowances, the so-called head of the government's new anti-Ebola agency, NERC, flew into uncontrolled rage and reportedly ordered the sacking of all those who took part in the protests. We still do not know if those sacked workers have been paid their dues for the kind of risk the job entails or whether they have been replaced. Up to the time of writing this - we still do not know what salary and emoluments Palor Conteh is getting. Is he still getting a salary as Defence minister while getting paid extra for heading NERC? Meanwhile Sierra Leoneans and good friends of the country who heard about the UK deployment of assets in Sierra Leone in the fight against the deadly Ebola virus disease were elated in the hope that finally some form of order and discipline would be instilled in a system that lacked direction as well as practical strategies to detect, isolate and treat those suspected and confirmed of having contracted the disease. Many have been disappointed to learn that despite having an eighty-bed facility, only fourteen beds were occupied by patients - this in the midst of rising infection rates as well as deaths. 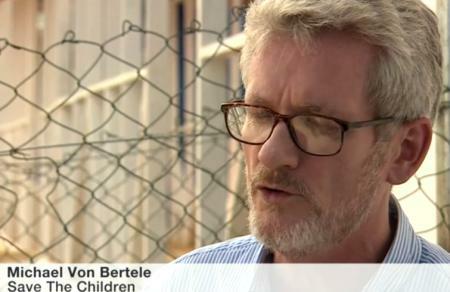 The BBC's Andrew Harding's report of 30th November 2014 highlighted what many knew but were afraid of telling their UK benefactors - that there's a problem, an acute problem that needed a solution now and it is good to hear one of the Save the Children people one Michael von Bertele admitting the organisation's lack of experience in such a task. They went into it because, according to him, no one was willing to undertake the task!!! This we find extremely preposterous given the British penchant for always trying to do things the right way and aiming for the top in terms of excellence. 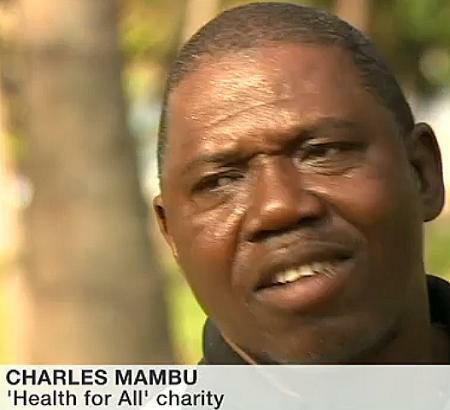 We know that we are a desperate people wanting to garner in as much help as we can in the fight against the terrible disease; we know that as a nation of beggars there's a tendency to believe that we had no choice, but at least the UK government should have done better by getting military doctors to get the ball rolling and then training other personnel, mainly non-military to take over so that at the beginning we would have seen British efficiency at work and not the kind of hackneyed excuses being bandied about by Save the Children in that report. This calls for a change of strategy. The Sierra Leone government cannot be relied upon to lead the fight given the fact from recent reports that government functionaries are in for the money and what can be siphoned off into pockets and private warehouses. 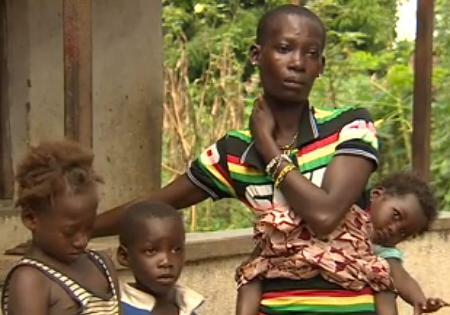 Kindly take a good look at Andrew Harding's report as it reflects on the fate of one Mariatu Kamara - a Sierra Leonean whose only crime is that she belongs to the majority of Sierra Leoneans - poor and unconnected. She has been feeling unwell for a number of days but refused to seek medical help because she had three children to take care of. She could not even afford to call the helpline that has been hyped as being the most efficient because she has no phone. Even when helped by a good Samaritan to phone that number, action was not taken and this is what is hampering control of the disease which one outlet has described, quite rightly we think, as the disease of the poor. 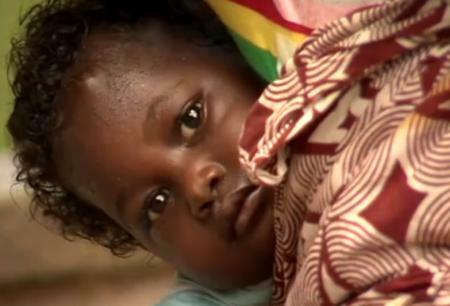 "Mariatu Kamara had been hiding her illness for several days. When we found her outside her home in Rogbangba village only a few people knew she was sick - a headache, sore bones and boils on her head and legs. Perhaps it was not Ebola. But if it was, her three young children - one tied to her back - were at grave risk. I don't have a phone," Ms Kamara explained at first, when I asked her why she had not contacted the Ebola telephone hotline. But she became visibly alarmed when I suggested we could help. "I can't leave my children here on their own," she said. Her nine-year-old daughter, Aisatu, began to cry. The village headman, Abdul Karama, arrived and promptly called 117 to report a possible Ebola case. He was worried that it would not make a difference. "We call, but sometimes nobody comes," he said, citing other instances." Andrew Harding's piece headlined - 'Ebola outbreak: 'Death on an almost industrial scale' says it all as the burial squads try to keep up with the task of efficiently getting rid of the remains of the departed in sometimes disrespectful circumstances. Figures are yet to emerge of those who really died of Ebola and those who succumbed to other illnesses in a health-delivery system that was gripped in massive corruption and incompetence even before the Ebola scourge struck.